The prestigious World Series of Poker, currently underway at the Harrah’s New Orleans, took off with a memorable win that entered the WSOP gold ring leaderboard history. US-based poker pro Valentin Vornicu claimed the title at the first event of the festival and the 11th WSOP ring in his career setting a world record. Kicking off Tuesday, May 10, the $365 No-Limit Hold’em Re-Entry promised players an exciting guarantee of $200,000 and drew a strong field of 1,340 entries. As the first event at the final stop of the series’ schedule, the tournament was awaited with a lot of anticipation, especially after Valentin Vornicu’s impressive performance during the final starting flight on Saturday. He emerged as Day 1D chip leader but his ambition went beyond winning the tourney trophy as he saw a chance at becoming the winner of the most WSOP gold rings in history. As of Saturday, Vornicu shared that title with Maurice Hawkins when each of them held ten rings from different circuit stops. The following day was historic not only for the 34-year-old poker player but for the series, as well. 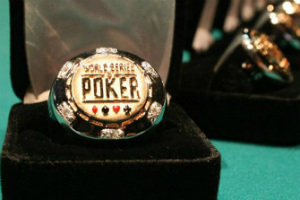 Defeating the field of over 1,300 players, including Clinton Boynes in the final heads-up, Vornicu took the 11th WSOP gold ring in his career and topped the global WSOP ring winners leaderboard. The San-Diego-based grinder, originally from Bucharest, Romania, admitted that he came down to New Orleans only to secure himself a spot in the 2018 Global Casino Championship. He did not even expect to win the tournament and his only goal was to get his hands on the coveted $10,000 seat. However, he did manage to survive and become one of the finalists at the final table, after which he could easily show off some skills and take control of the action. 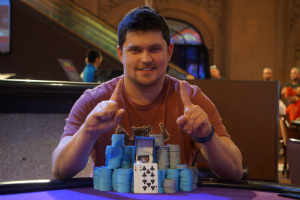 Along with the WSOP gold ring on his name, Vornicu also took home an exciting $64,205 for his win. He also collected another 50 points and locked up a seat for the 2018 Global Casino Championship, scheduled for August 7-9, 2018 at Harrah’s Cherokee Casino Resort in North Carolina. Day 1D of the $365 No-limit Hold’em Re-Entry event closed registration with 601 entries, who brought the total field size to 1,340. This huge interest in the tournament meant that the total prize pool would smash the guarantee and in the end, it did, reaching $402,000. Day 2 of the first event at Harrah’s New Orleans started Sunday with only 69 players who survived to Level 20. David Slaughter entered as chip leader of the final 10 with 3.32 million in chips, while Vornicu had the smallest stack with only 535,000. After Josie Campbell busted in the 10th place, the official final table became clear. Holly Meliet was the first player to leave the feature table with a prize of $6,891 and interestingly, all other grinders who played for the title were, one by one, eliminated by Vornitcu. He, on the other hand, started building up his stack and dominating the table. The next player to hit the rails was Ryan Stephens (8th, $8,440), followed by Joseph Hebert (7th, $10,495), David Slaughter (6th, $13,249), Vismantas Marijosius (5th, $16,971), Timothy Acker (4th, $21,988), and Jonathan Hilton (3rd, $28,839). Vornicu, then, defeated Clinton Boynes in the final heads-up, winning $64,205 and yet another WSOP gold ring. For his runner-up finish, Boynes took home a nice cash prize of $39,002.